Less beach cruiser and more boot camp on wheels, Revolve Fitness provides athletic training, endurance sprints, drills in and out of the saddle, and team riding that will push students to their limits. Instructors work with students on so much more than just fast pedaling and killer resistance, though: Schwinn certified instructors are vigilant with for and technique so you can get the best – and safest – ride for your body. Whether an indoor cycling aficionado, or just taking off your spinning training wheels, Revolve will motivate you to get a challenging ride and that blissful endorphin rush to finish. Classes Offered: Body Ride, Real Ride, Real Ride Endurance, Rip Ride, and an assortment of theme music rides. 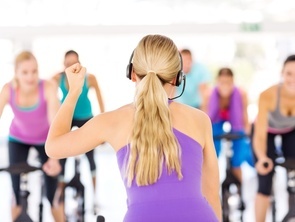 Why We Love It: The friendly atmosphere, pumping music and form-focused instructors are worth giving Revolve a spin. Plus, we’re suckers for genre themed rides, and Revolve keeps them coming! Why It's So Effective: You won't get stuck in a rut with the many different rides offered. 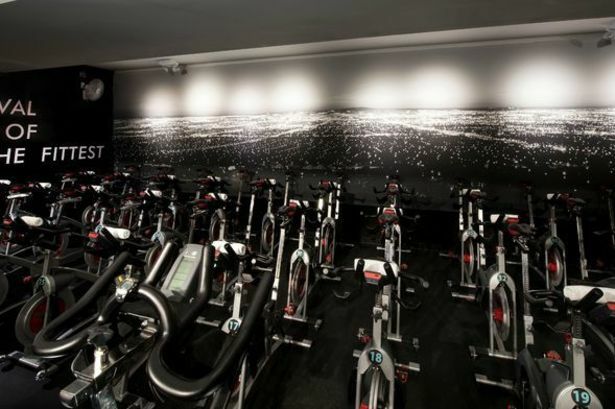 REAL ride is a 45-minute ride focused on building cardio endurance with no upper body weights, and REAL Endurance is a 60-minute ride with no upper body weights. Body Ride is a 45-minute ride that incorporates cycling and strength training with one upper body weight segment, and RIP (Resistance Interval Performance) Ride is a 60-minute ride with two upper body weight segments. Know Before You Go: Shimano cycle shoes with Look Delta cleats are provided; pedals support SPD cleats for those bringing their own shoes. Gel seats are available for a more comfortable ride. If you are a beginner, arrive 15 minutes early to your first class and let the front desk staff know that it's your first visit so the staff can give you a brief orientation. 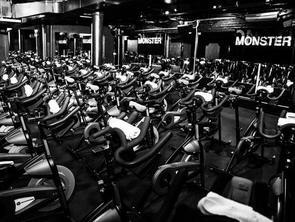 Don't Miss: Stay up to date on Revolve Fitness’s schedule for an ever-changing lineup of themed rides. Beyoncé vs. Jay-Z, anyone? Added Bonus: Workout before hitting the town…or (sigh) work. Revolve has shower rooms with towels, hair dryers, deodorant and C.O. Bigelow products. The studio also has self-locking lockers for students to use while they are on a ride. Additional amenities include a water refill station, hair ties, and ear plugs, as well as Smart Water for purchase.